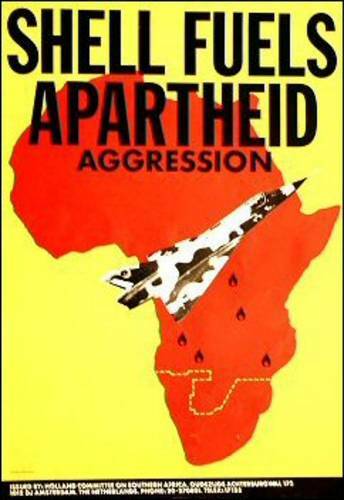 English language poster produced as part of the campaign to boycott Shell. Komitee Zuidelijk Afrika is also known as the Holland Committee on Southern Africa. Design: Erik Brouwer. 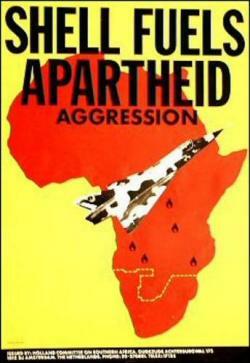 This item was digitized by the International Institute of Social History in the Netherlands, which made it available to the African Activist Archive.